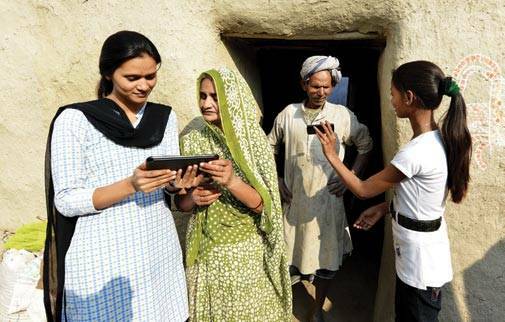 Prime Minister Narendra Modi launched Digital India on July 1, 2015 to create digital infrastructure for empowering rural communities, enabling digital delivery of services and promoting digital literacy. Given that 68 per cent of India's population is rural and agriculture is the main source of livelihood for 58 per cent of the population, one must consider the role of Digital Agriculture within Digital India. Digital Agriculture can be defined as ICT and data ecosystems to support the development and delivery of timely, targeted (localised) information and services to make farming profitable and sustainable (socially, economically and environmentally) while delivering safe, nutritious and affordable food for ALL. 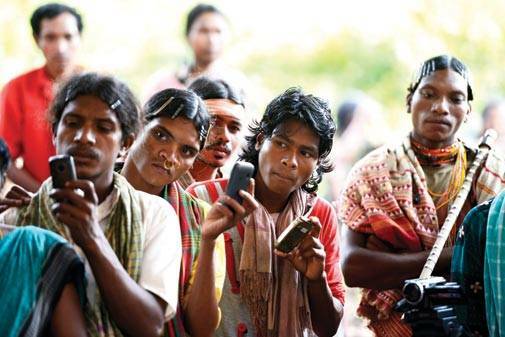 Rural connectivity will be key to providing low cost data and access to information. It would empower rural youth to realise their full potential, farmers to increase their profitability by accessing equitable markets and rural businesses to offer value added services. David Bergvinson, Director General, International Crops Research Institute for the Semi-Arid Tropics, believes technology will be key to increasing agriculture productivity by delivering tailored recommendations to farmers based on crop, planting date,variety sown, real-time, localised observed weather and projected market prices. The key components to support the implementation of Digital Agriculture is Spatial (and Temporal) Data Infrastructure (SDI) and low-cost smart phones and tablets to support the bi-directional flow of data and information to rural consumers. SDI has been the key driver to support modern farming in the US, Australia and Europe as well as emerging economies of China and Brazil. Agriculture is a data-intense enterprise when one considers soil variability, moisture and nutrient levels, rainfall variability, timing of key operations like planting and harvesting, and market price volatility. 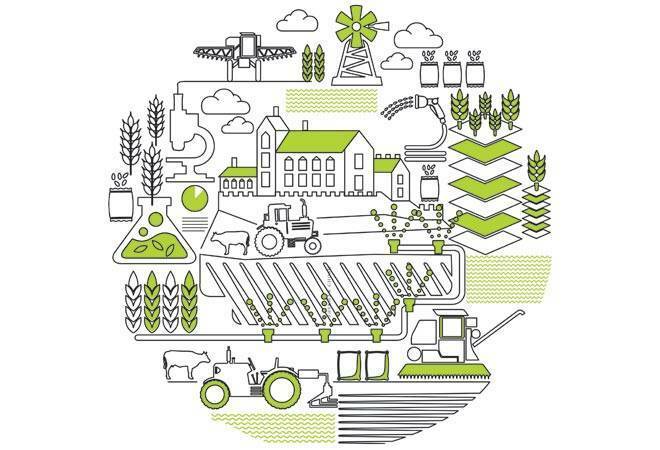 Advanced agriculture industries help farmers manage these production and market risks through the application of spatial/temporal data bases that are cloud enabled and integrated through Application Programming Interfaces (APIs). This creates a rich and dynamic data ecosystem that enables advanced analytics to inform farmers of the best economic options to maximise profitability and minimise risk - the two critical variables farmers in India would also like to manage. Smartphones are the other key intervention as they are equipped with GPS to track where photos of field infestations or hail damage have taken place for technical support or insurance claims. Mobile phones also enable farmers to integrate into structured markets based on approved grades and standards that can be verified using calibrated photos and settlements made through mobile money. While India has over 960 million mobile phones, only 17 per cent of the population has a smartphone but this is changing quickly with over 204 million smart phone users projected for 2016. This percentage is much lower for rural consumers but this too is changing as the price point for smartphones manufactured in India is dropping as are phablets (phones and tablets that support rural education and extension). Digital technology will be key to increasing agriculture productivity by delivering tailored recommendations to farmers based on crop, planting date, variety sown, real time localised observed weather and projected market prices. These recommendations will be based on advanced big data analytics related to down-scaled daily observed weather that is now 9 km x 9 km but will soon be under 1 km x 1 km and effectively field level that feed into crop growth models to estimate yields, harvest date and potential pest and disease outbreaks to optimise pest control measures. Remote sensing is another big data resource to support the development of derived weather products (radar), improved hydrology and watershed management, soil health, crop coverage and crop health estimates among other application. This is now complimented by Unmanned Aerial Vehicles (UAVs) that can capture multispectral images to assess crop health, damage and yield far more accurately than satellites. The greatest impact Digital Agriculture will have is on democratisation of market pricing and compressing transaction costs so that farmers capture a higher portion of the produce's marketable value. Agricultural value chains are complex with several actors along the chain but information asymmetry between the farmer and aggregator or intermediaries results in farmers having to sell into saturated, weak markets that are not based on standards. Powerful business models have emerged from Africa, Brazil and China that use big data and mobile phones to increase value chain efficiency for upstream access to appropriate inputs and credit. It also helps in targeted recommendations for improving productivity through market integration based on agreed grades, standards and prices. It is not uncommon for farm incomes to double in the case of grain crops and to quadruple in the case of perishable produce. India is well positioned to realise the same opportunities for its farmers by providing the basic spatial data infrastructure to enable coordination along the value chain. With the Direct Benefit Transfers system and the unique identification number, Aadhaar, to support transfer of government subsidies to citizens, India is uniquely positioned to leverage these platforms to support the earlier interventions around soil health, Prime Minister Krishi Sinchayee Yojana, national markets and weather indexed insurance. When combined with spatial/temporal data infrastructure, subsidies can be validated (for example, application of fertiliser on a specific field under a targeted fertiliser subsidy programme) and targeted (e.g. digital soil map and crop to be cultivated and rainfall anticipated) to increase farm profitability and manage production and market risks that in turn give farmers confidence to invest in their farms to further increase productivity. Digital Agriculture will also leverage social media platforms to build human capacity. One of the best examples originating from India is Digital Green. It uses participatory videos that have farmers explain best management practices to other farmers. This approach is ten times more cost effective than traditional extension services as farmers trust other farmers more given they can better relate to someone like them who are building a livelihood under similar circumstances. Mobile money is the last key intervention that has unlocked tremendous opportunities for rural consumers in Africa and will do the same for India. Paper money is expensive and risky to rural consumers but mobile money is safer, especially for women, and costs less to transfer. Mobile money also allows rural consumers to bypass poor infrastructure to support savings and access credit.